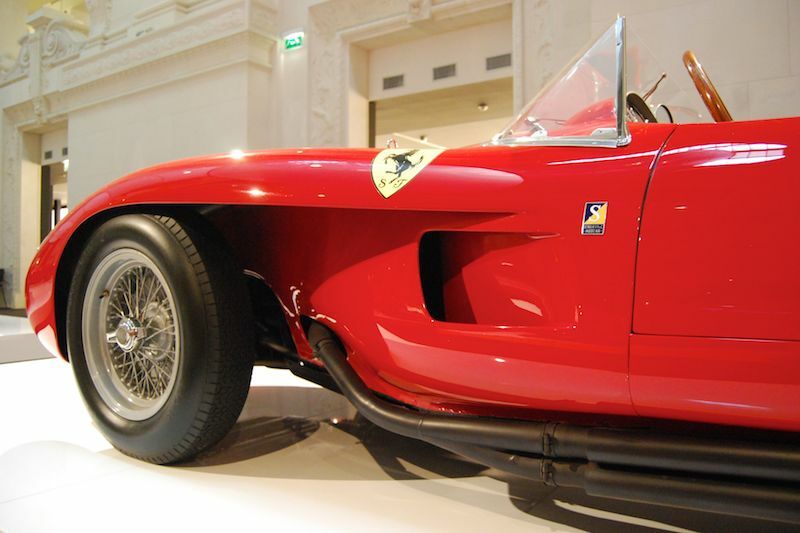 The Ralph Lauren Car Collection Exhibition, titled L’Art de L’Automobile, is currently held at the Musée des Arts Décoratifs in Paris, with the exhibit running until 28 August, 2011. 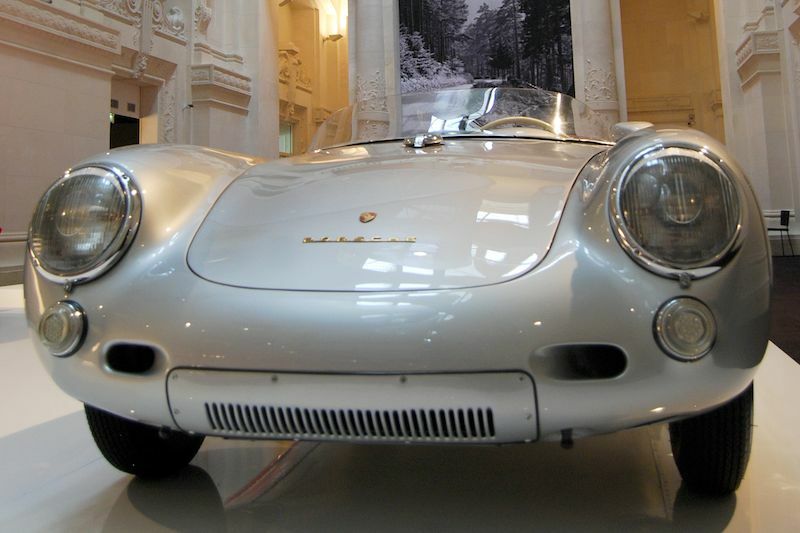 If you ask any car enthusiast to make a Top 50 of the most important luxury and racing cars of the 20th century, this list will certainly include all of the seventeen vehicles displayed now in Paris, as part of the exhibition named L’Art de L’Automobile. 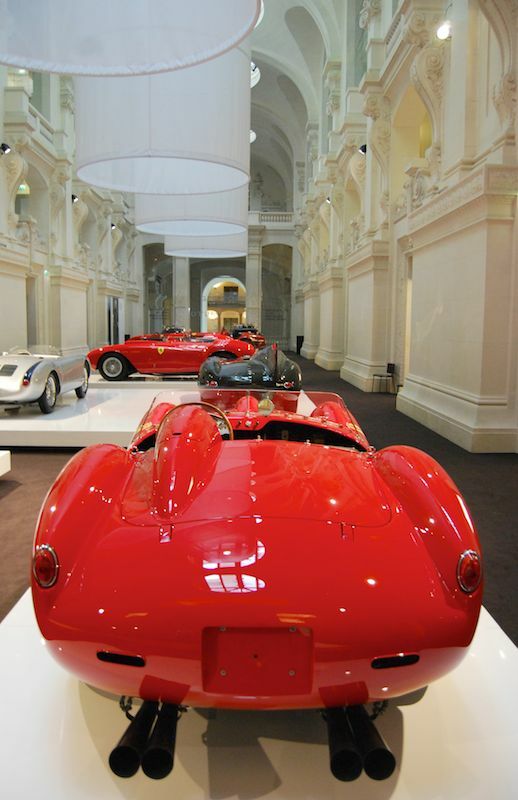 That’s why even the regular petrolheads – who usually don’t like cars to be compressed in some fancy locations, where it is forbidden to sit in them or even touch them – have to admit: the masterpieces from Ralph Lauren’s private collection are simply bound to be in a place like the impressive assembly hall of the Musée des Arts Décoratifs in the chic Rue de Rivoli. 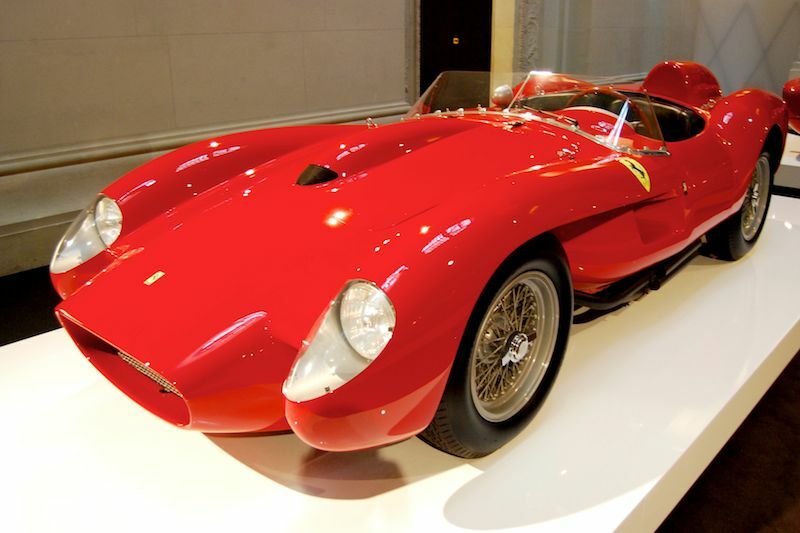 A large number of the over 70 automobiles that Ralph Lauren owns, are usually held on his estate, but in 2005, his collection was displayed at Boston’s Museum of Fine Arts. 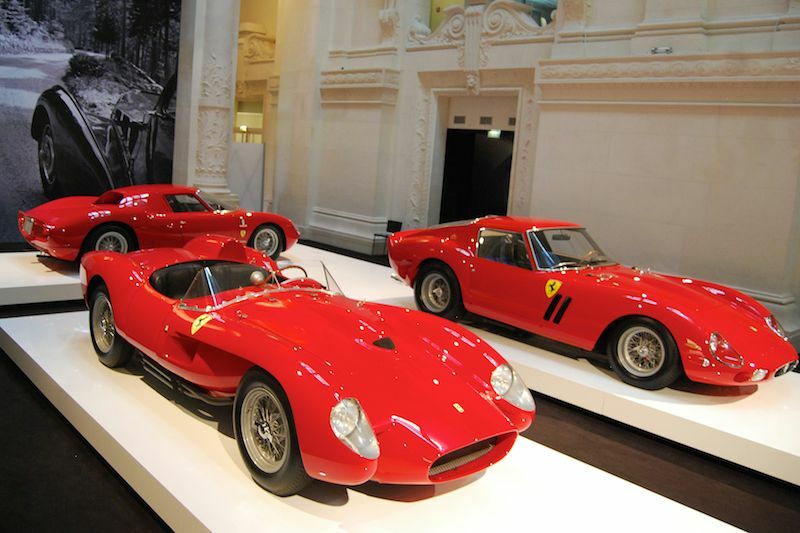 Now, thanks to one of the most well-known designers (and prime pieces of his collection exposed for the first time in Europe), till 28 August, 2011, the capital of fashion becomes one of the centers of the automotive world. That is due to the fact that the 173rd richest person in the world (according to Forbes) has incontestable style in the material of motorcars, too. Visitors of the exhibition enter into this classic car dream world through an imposing wrought iron gate, and there are “welcomed” by the king of the collection: the Bugatti 57 SC Atlantic from 1938. Chassis number 57591 was the last of the four originally produced, and the black coupe can probably claim to be the most original of the three remaining cars – fact honored with the Best of the Show award at the 1990 Pebble Beach Concours d’Elegance. 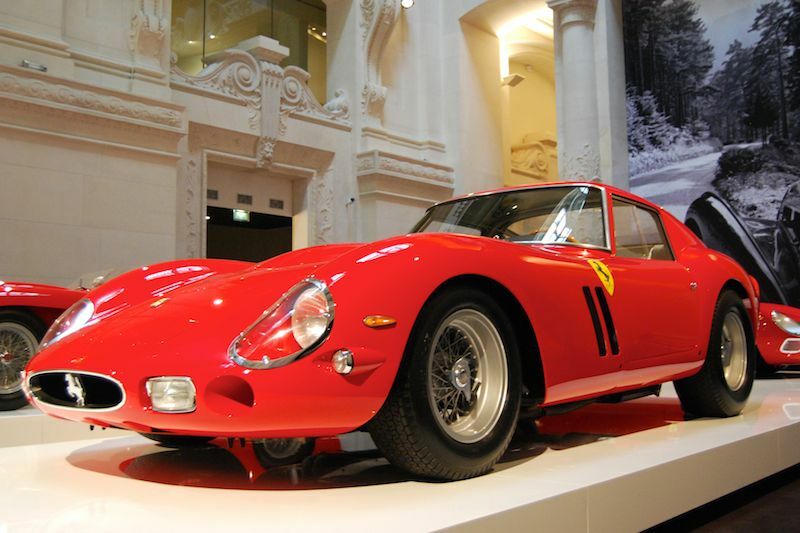 If the Atlantic is the king, than certainly the 1962 Ferrari 250 GTO can be named the queen of the exhibition; and not just because the estimated price is at the same level – between 30-40 million dollars. 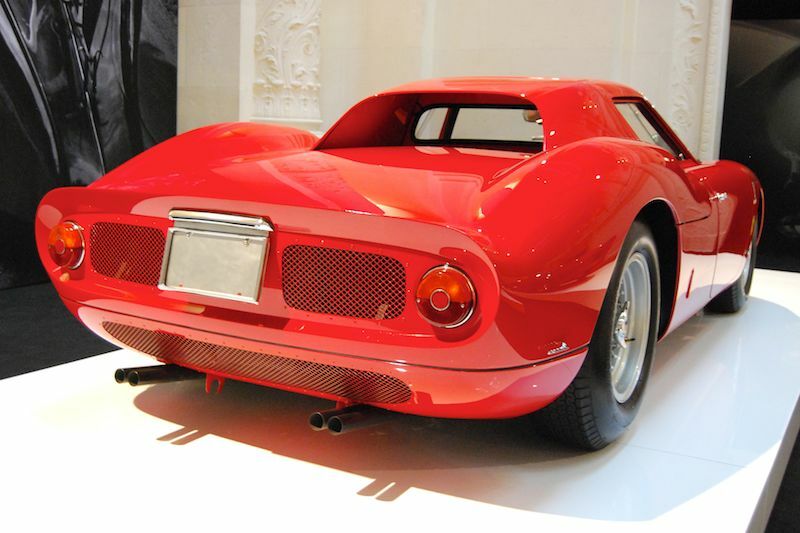 While the Bugatti Atlantic is the synonym of the sport-luxury car, the 250 GTO is considered to be the quintessential racing Ferrari model: built in only 39 examples, this model won three times (1962, 1963 and 1964) the GT World Championships. 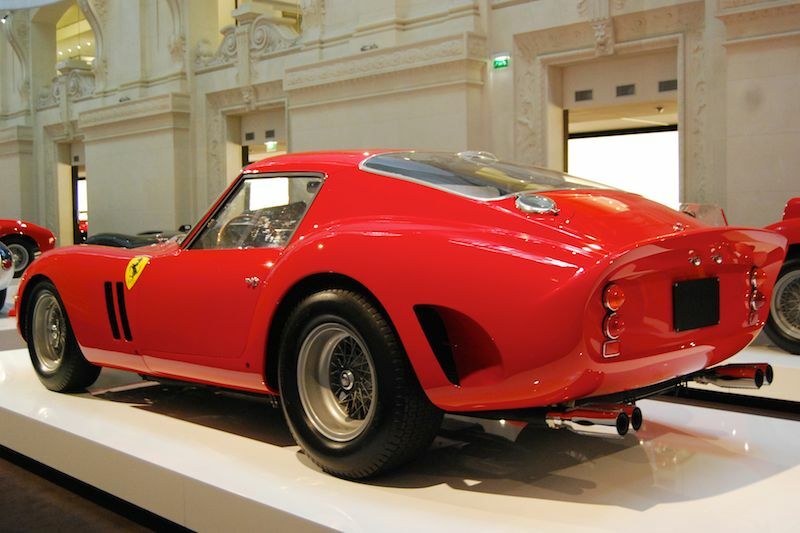 The other Ferrari models exposed have an impressive race pedigree too: the 250 GT Berlinetta SWB dominated the legendary Tour de France automobile for three seasons (1960-1962), the 250 Testa Rossa got the victory on three occasions in Le Mans (1958, 1960 and 1961), the 375 Plus, only five built, won the 24 Hours competition in 1954, while the 250 LM conquered at the French race track in 1965. 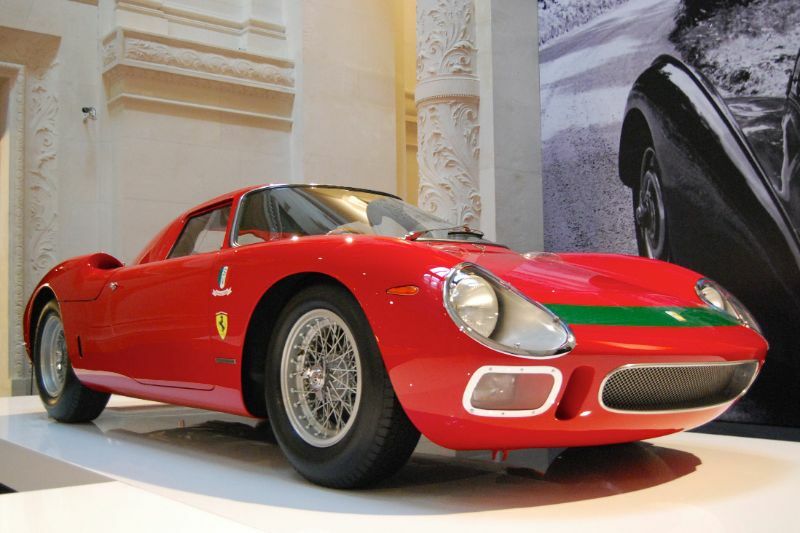 But Ferrari isn’t the single brand from the collection, which can swagger with Le Mans wins. 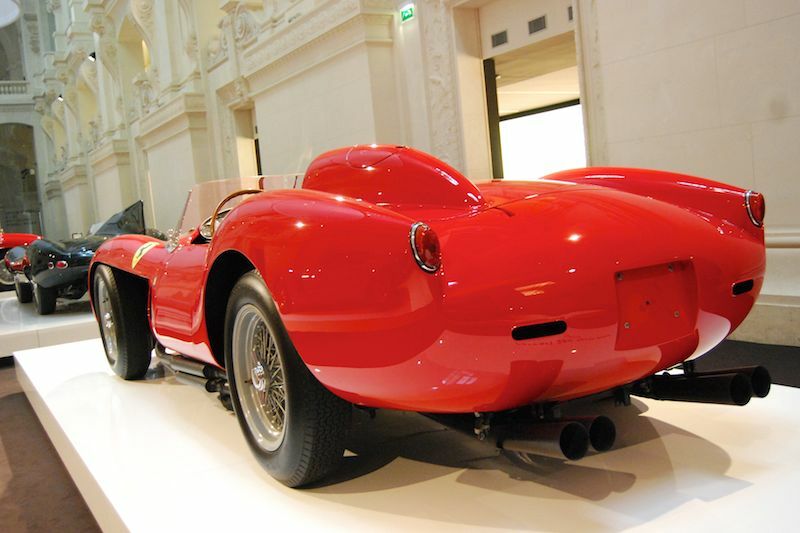 Next to them, the visitors of the Parisian exhibition can admire the Jaguar XKD (three consecutive victories between 1955 and 1957), or the Bentley Blower, which stands out from the other cars in the collection thanks to its massive bodywork. Next to the British “truck” was placed another massive, but more sophisticated vehicle, a real unique peer of it: the Mercedes SSK “Count Trossi” from 1930. This car was put together by the young British coachbuilder, Willi White, based on a design suggested by its Italian aristocratic owner, Count Carlo Felice Trossi. Like a memento of this exhibition: money and taste are not necessarily distant from each other. Although many Bugattists find fault with the color change from blue to black for the Atlantic (57591), the second and third Atlantics (57453 and 57473) were both black originally, which to me seems to justify his choice, especially since 57591 had been two different shades of blue before — the original sapphire as ordered by Mr Pope followed by a lighter blue. Much more troublesome is his pretentious claim that he IMPROVES the colors of all his cars. Painting his Type 59 GP Bugatti black instead of Bugatti blue, or his D-type Jaguar a creamy green instead of BRG is just mucking about. He fiddles with Mercedes silver; he messes with Ferrari rosso corsa; he adjusts Alfa red just enough to be annoying. No question, he has the best collection in the world, but creme-de-la-creme doesn’t mean adding creme to everything — it’s like putting ice cream on foie-gras and saying it’s better that way. Fortunately these minor aberrations can easily be corrected and will be someday. And of course all the metrosexual men, lest we not forget…. Great stuff, great collection. Its nice for Mr. Lauren share this with the world rather than keep it “squirrelled” away for his own personal enjoyment. Thanks for sharing to Sports Car Digest, and Mr. Lauren. MR. LANCE PIERRE, HOW DARE YOU CRITIQUE QUITE POSSIBLY THE GREATEST COLLECTION IN THE WORLD. MR. LAUREN HAS TRANCENDED CAR COLLECTING & ART UNLIKE ANYONE ELSE.